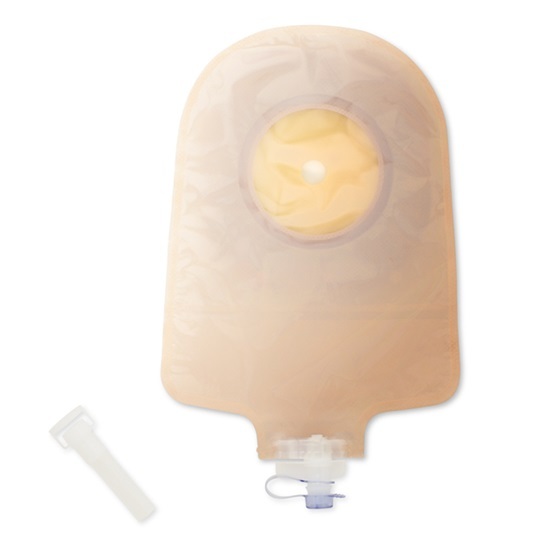 Ostomy kits contain key items needed for one pouch change, including pouch with skin barrier, stoma measuring card, adapter, and instructions for use. 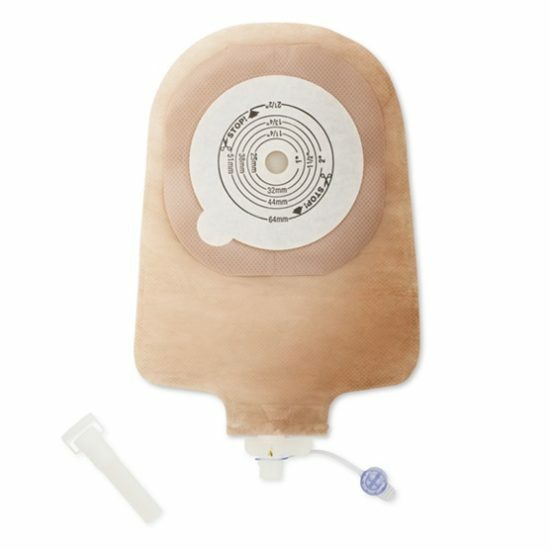 This one-piece urostomy pouching system has a tap at the bottom, which allows it to be connected to a bedside collector with the use of the adapter provided. The Flextend barrier is an extended wear skin barrier that is durable and offers high resistance to erosion. Anti-reflux feature in pouch minimizes backflow of urine. Soft, beige ComfortWear pouch panels on body side help provide comfort.